Living a Fit and Full Life: Enjoy the Flavors of Summer All Year Long with True Lemon! Enjoy the Flavors of Summer All Year Long with True Lemon! It’s a joy to work in our small but growing company, with people we really like and respect, to create products that we and our customers love. But we’re not only lucky, we’re also honored. Because every day we hear from our customers who write or call us just to say how much our products mean to them. Whether it’s a mom who called to say that her family has given up soda completely because she discovered True Lemon® Lemonades and her kids love them. Or the home chef who emailed to share with us that he now exclusively uses True Lime® instead of lime juice in his recipes. Or the 28-year-old who told us that for the first time in her life she’s drinking water because she found our products. Or the grandfather who couldn’t bear to give up seasoning his food with salt until he bought our salt-free, citrus spice blends. We’re humbled to say that, like the people above, over the years thousands and thousands of customers have contacted us to share their True Citrus love. And we hope you will also find the True Citrus products that you love. 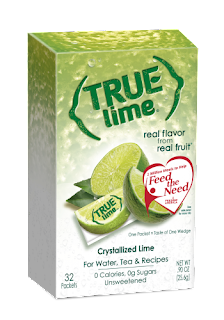 We love fresh-squeezed lime taste so much that we wanted to enjoy it wherever we go so we made True Lime®. We love fresh-squeezed grapefruit taste so much that we wanted to enjoy it wherever we go so we made True Grapefruit®. 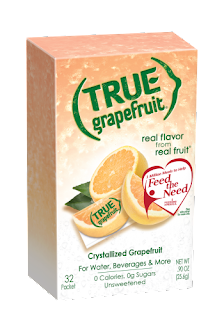 True Grapefruit® is the most convenient way to add fresh-squeezed grapefruit taste to your water, beverages and more. Each packet equals the taste of 1 grapefruit wedge and is made with only 3 ingredients. 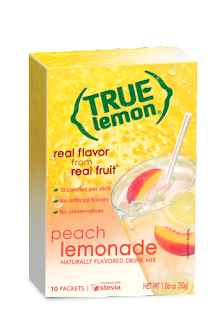 True Lemon® Peach Lemonade is 100% delicious because it’s made with real lemon juice and oils, sweetness from the Stevia leaf, the flavor of peaches and simple ingredients that you can pronounce. Only 10 calories per serving (or 5 calories per serving for 2-quart size box). 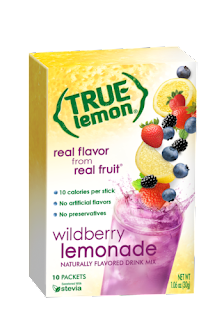 True Lemon Wildberry Lemonade® is 100% delicious because it’s made with simple and clean ingredients including lemon juice and oils, sweetness from the Stevia leaf and the natural flavors of blackberries, huckleberries and strawberries. Only 10 calories per serving. 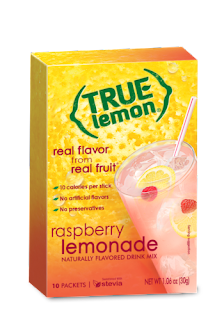 Enjoy the flavors of summer all year long with True Lemon! I'm a huge fan of flavored water so when I received these True Lemon products I was in heaven. 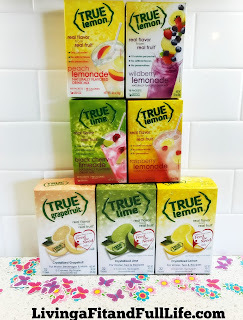 True Lemon Drink Mix is made with real lime juice and oils, sweetness from the Stevia leaf and is the perfect way to add a little flavored sweetness to your water. I love that they only contain 10 calories per serving yet pack tons of flavor and sweetness in each packet. 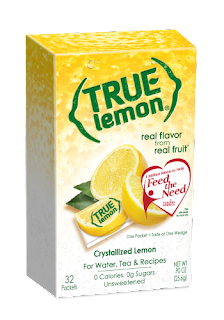 True Lemon Drink Mix comes in a variety of flavors so there's sure to be at least one that you'll love! I used to have lemon trees in my backyard at my old house and pretty much had lemons all year long so I would add them to my water and have become somewhat of a water snob now. I now require lemon for my water which is somewhat of a pain. I love that with True Lemon I can simply open a packet and dump it in my water to have my delicious lemon water in an instant. There's no cutting, squeezing lemons and I can simply toss out the packet when I'm done. 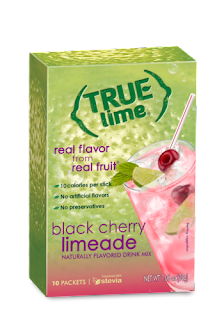 I also love that I can use True Lemon's Lemon, Lime and Grapefruit packets in recipes so even when they're out of season I can still enjoy my favorite flavors. True Lemon is the easiest way to enjoy all your favorite flavors year round! 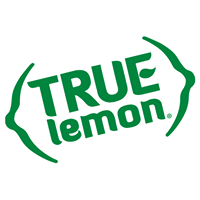 Click HERE to find a store near you that sells True Lemon! Click HERE to learn more about True Lemon! Follow True Lemon on social media!